The HS-125 is a twinjet mid-size business jet originally developed by de Havilland and initially designated as the DH125 Jet Dragon. It entered production as the Hawker Siddeley HS.125, which was the designation used until 1977. After the jet achieved full production, the name was changed to "HS.125" except for American exports which retained the DH.125 until it was replaced by BH.125 for Beechcraft-Hawker. Later on, more recent variants of the type were marketed as the Hawker 800. The older HS-125's was fitted with the very thirsty Viper motor, thus limiting the range quite a lot, whereas the models from the -800 onwards were all fitted with the far more economical Garret 731 motor. My experience was on the older HS-125, as these were operated on United Nations contracts and the UN paid for the fuel, so the high fuel consumption was not our issue. ZS-MAN then belonged to SA Manganese and of course their flights were mostly to Hotazel near Sishen. My first flights were around South Africa, starting with ZS-MAN that then belonged to SA Manganese and of course their flights were mostly to Hotazel near Sishen. Flying time from Lanseria to Sishen was around 45 minutes. ZS-LME with UN Logo, parked at Asmara Airport. Malcolm Carrick leaning against the wing. Note our UN pickup. In 2000 I was hired to fly as crew on the well-known 125, namely ZS-LME. 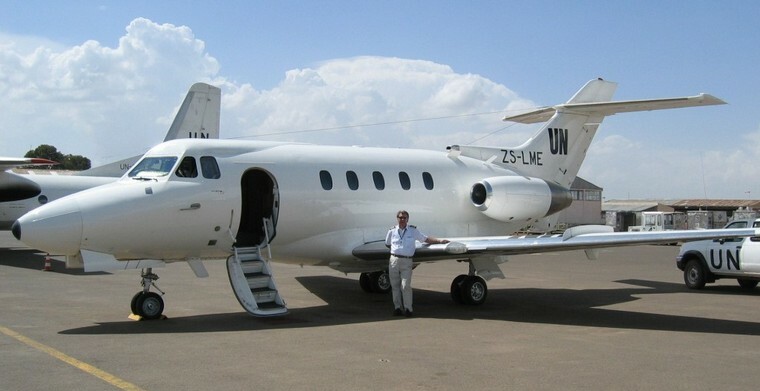 This aircraft was one of three that the SAAF's 21 VIP Squadron sold off on auction, at which the well-known property developer/pilot, Johnny Heynike was the successful bidder. ZS-LME was then based in Asmara, Eritrea and flew mostly to Addis Ababa in Ethiopia. As all major maintenance was carried out by NAC in Lanseria, this meant that periodically there were flights between Asmara and Lanseria, so crew changes tended to be done at the same time as the maintenance flights. 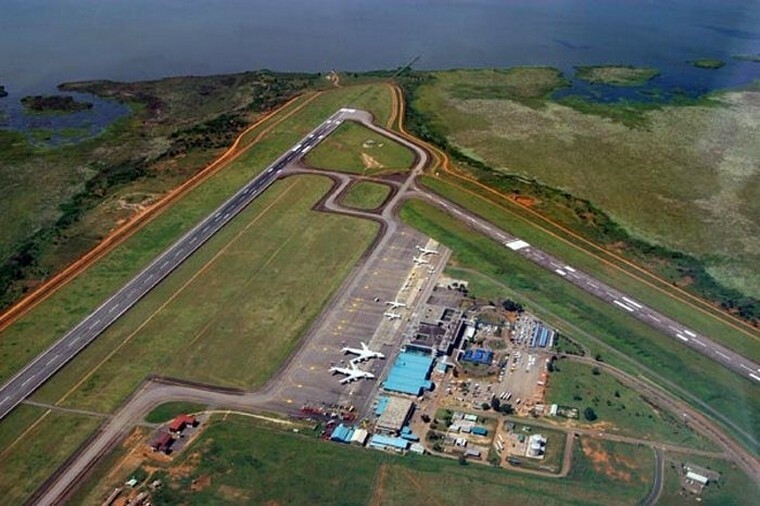 Aerial view of Entebbe Airport. 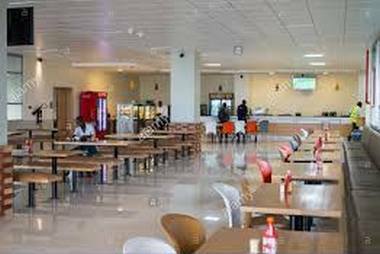 Entebbe airport on final on a clear day Entebbe Airport…..Customs & immigration hall with its striking gleaming floors. 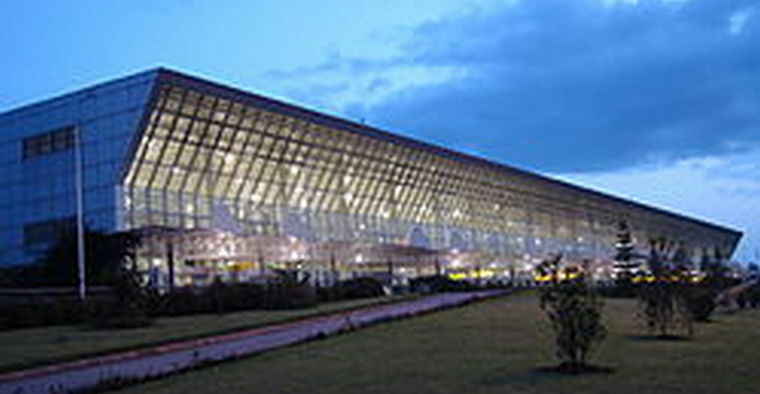 Bole Airport main terminal building at Addis Ababa. 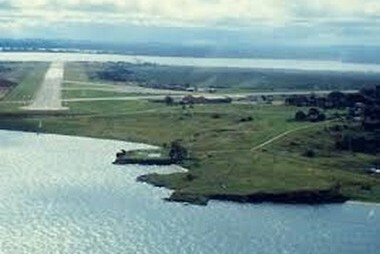 The standard ferry route flown was from Lanseria to Lusaka, then via Entebbe, Addis Ababa to Asmara. The leg distances thus could be safely flown, but it never left much reserve fuel for any major diversion. Flying times were typically 1:9 hours from Lanseria to Lusaka, 2.9 hours from Lusaka to Addis Ababa and 1.9 hours from Addis Ababa, via turning point Djibouti, to Asmara. 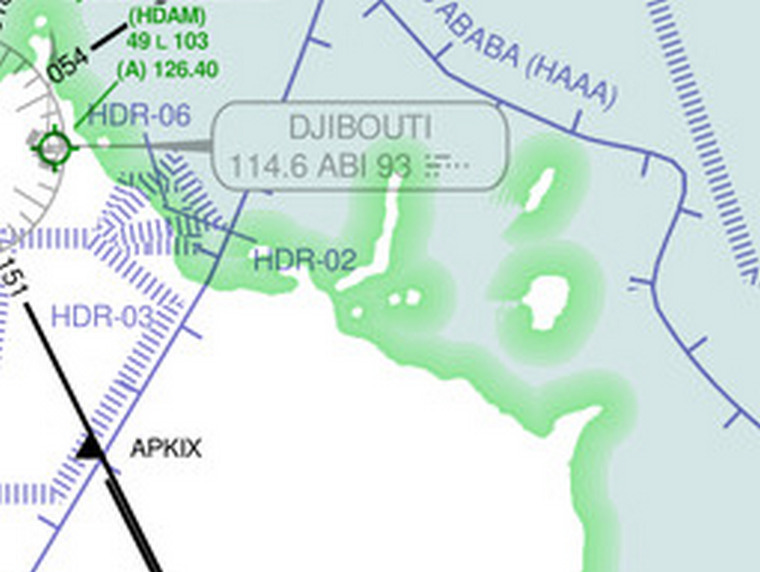 We always overflew Djibouti using this chart. 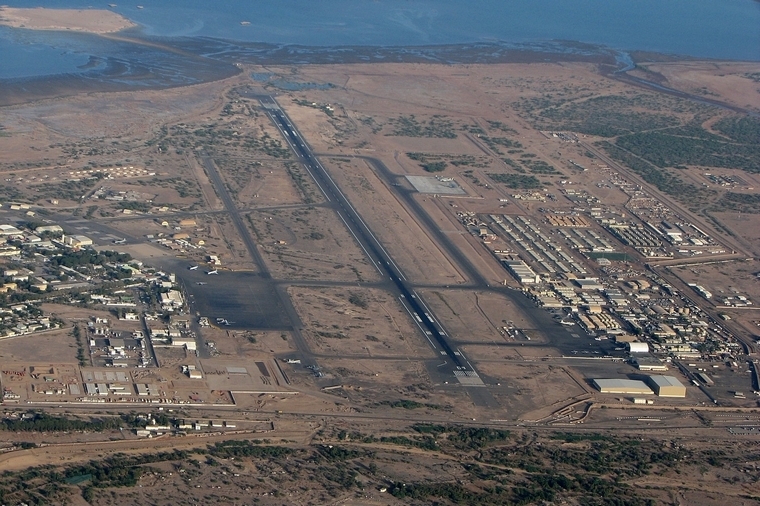 Djibouti airport looking east towards the sea. 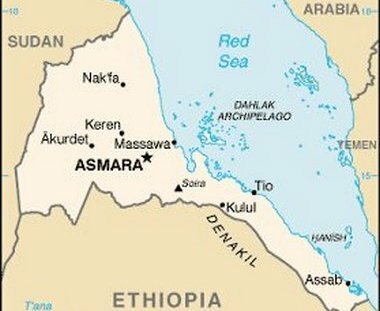 We routed overhead Assab from Djibouti, then coast-wise towards the port of Massawa, but turned inland towards Asmara, following a convenient airway. Asmara Airport. The shorter runway was strictly for military use only!! 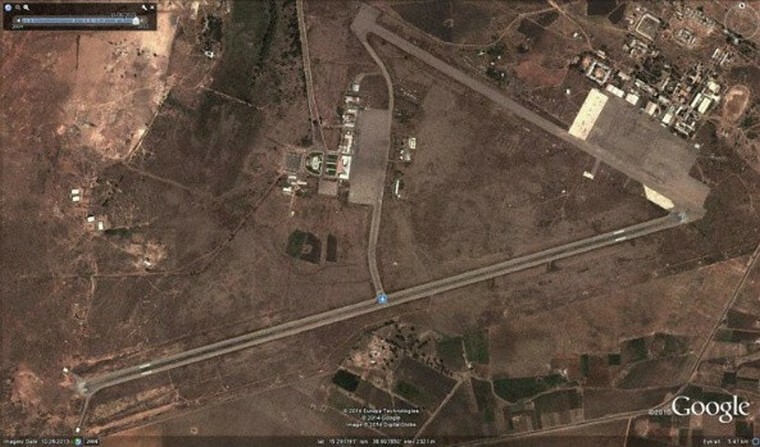 Asmara Airport building -a street view. 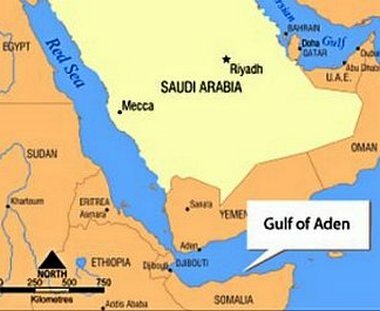 Due to recent skirmishes between Ethiopia and Eritrea, no flights were allowed on the direct route, so flights always routed via Djibouti, then along the Red Sea via Assab, towards the port of Massawa before then turning inland to land at Asmara. 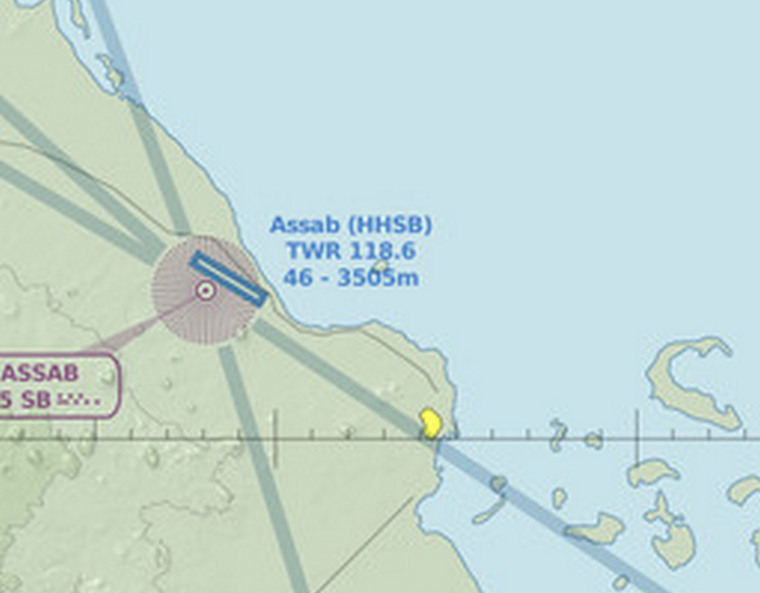 During the nineties, a Citation taking a shortcut was shot down on the direct track between Luxor to Addis Ababa. With refuelling at each en-route airport, the typical journey time used to require around nine hours. 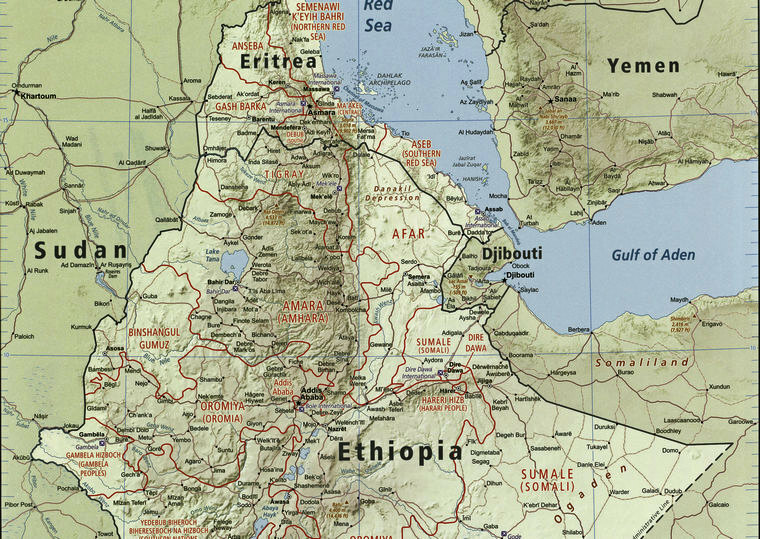 Eritrea on maps. With refuelling at each en-route airport, the typical journey time used to require around nine hours. The trick to achieve the required fuel range, was to climb as high as possible, which often required the step-climb technique. Typically the initial flight level was at 35,000' then in increments to 41,000 feet ( FL 350 to FL 410 ). The drastic low-level fuel-flow would start at 3000 lbs a side, and thankfully reduce to a more reassuring 900 lbs/hour. Very careful descent planning is required, so as to minimize fuel-consumption. Typically, descent from FL410 would commence 85nm from the destination and required that initially the power was reduced only to 80% until descending through FL300, when flight-idle could be set. This took care of bleed-air required for controlling the cabin altitude during the descent.